DSLR Cameras are like cellular phone trends that change from time to time. But with cellphones, you may confidently get the latest and get the hang of it in less than 24 hours. With Digital SLRs, there is more likely to follow as if a ladder… taking it step by step towards what you may call Professionalism in the field of Photography. There is always an update but what one should consider is the level of sensitivity the DSLR has for you. After the List of DSLRs for beginners, we move on to a suggested List of Digital SLR Cameras for Intermediate Photographers so for you to have an idea what to get after you have finally gotten through with being a neophyte in the said field. The best way to an appealing photo is a good choice of a DSLR Camera especially when moving on to the next step. You would always have to consider what best fits you and your budget, moreover, the one that offers the best. The good choice lie on your hands now as you check on these Digital SLRs… Good luck! Soldiers have to be fully equipped with the right gadgets before going to a battle. Their first step could have been their trainings and going on to another phase is another story. That is just like when you are leveling up on in the world of Photography. With the Nikon D7000, you get to feel how high you’ve stepped up. It has a magnesium alloy body shell with a slightly thick rubber coating located over its hand grip and its rear part. This is next to Nikon’s D90 with a higher resolution and more developed CMOS sensor. Indeed an upgrade from the D90. Its features include a 16.2 Megapixel CMOS Sensor, its ISO Range of 100-6400 which may be expanded up to an ISO 25,600. This DSLR also has a 39-point AutoFocus, a combined live view or movie switch control, full High-Definition with the resolution of 1920×1080 at 24fps. It’s always good to dream high especially in Photography. And when you do, you must update your gadgets too so to be “in” and just keep the dream fulfillment on. 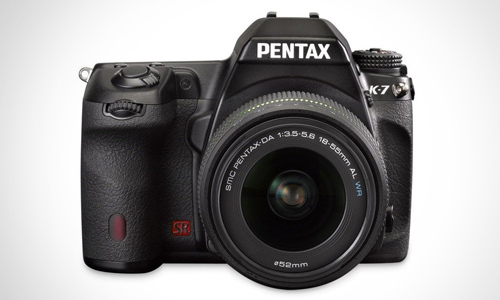 The Pentax K-5 with its sophisticated look is just physically similar with the K-7. A DSLR that could perfectly fit to what we may call a “determined amateur photographer” which estimately costs $1600. Its features include a 16.3 Megapixel CMOS Sensor, ISO Range frin 80-51,200, a 1080p HD Movie Mode, Viewfinder coverage is 100% with 0.92x in magnification, like the Nikon D7000, it also has a magnesium alloy body shell with continuous shooting of up to 7fps. 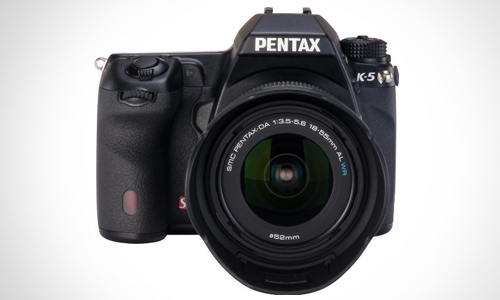 Aside from those, it has a new SAFOX IX+ 11-point AF system and supports older Pentax lenses. It’s a bonus when leveling up would include an HD video recording. That’s what the Nikon D300S offers. Creativity seems to know no limits especially when you’d want to do more. It’s just like trying to take photos and at the same time learning how to enhace them through technology. In photography, you must know what other things your DSLR offers so for you to get in touch with what else is there to learn about. 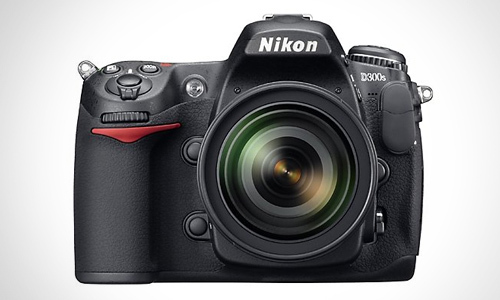 With the Nikon D300S, an estimate price of $1799 isn’t bad. Its features include a 12.3 Megapixel sensor, with a dual slot memory storage, Autofocus points of up to 51, ISO Range is from 200-3200, Shutter speed of 30 to 1/8000 sec, Viewfinder coverage of 100% plus it is able to customize your images’ visual style. For sure, you’d want it still easy even when on the next level of Photography. Light and easy but competitive already. 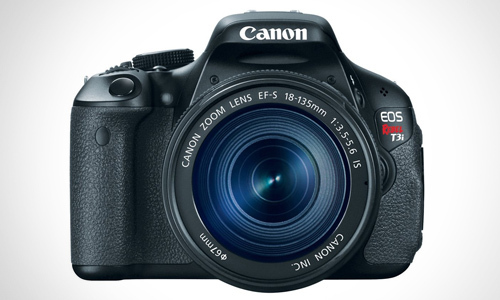 The Canon EOS Rebel T3i or the EOS 600D just has a few cool functions that won’t scare an intermediate DSLR user away. With its simplicity and flexibility, you can go about shooting for pictures just easy not to mention the light weight of this camera. Its features include an 18.3 Megapixel CMOS Sensor, HD Movie Resolution of 1920x1080p, ISO Range from 100-6400 and may be expanded to 12800, with high speed shooting at 3.7 fps, Auto Focus system’s got 9-points plus an On-Screen Feature Guide. Thinking of possibilities in Photography that’s a lot creative? Here’s another camera you would want to check out. The Sony Alpha A850 with an estimated price of $2000 gets you leveled up with its features and capabilities. It also comes with the 28-75mm lens. Its features include a 24.6 Megapixel CMOS Sensor, 98% Viewfinder Coverage, Sensitivity Settings would range from ISO 200-6400, a 9-point AF system, with a shutter that’s electronically-controlled its speed is 30 to 1/8000 sec and weighs 850g. When you go to a camera store, you would definitely see as many options there would be for a Digital SLR upon taking the next step. 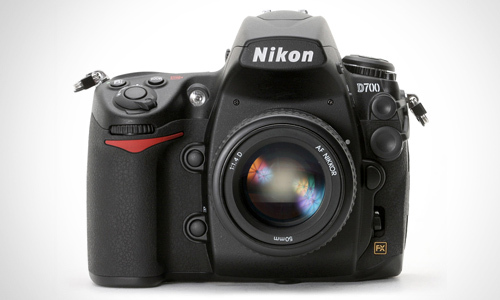 And one of these options that would definitely strike is the Nikon D700 which is considered a professional model. For a semi-pro like you, you might want to try it out with its full frame and large sensors. Estimated price is around $2999. Its features include a 12.1 Megapixel Full Frame sensor, with an ISO Range of 200-6400 which may be expanded up to 25600, Viewfinder Coverage of 95% plus 0.72x magnification, Auto Focus at 5fps plus a shutter life of 150,000 exposures. In most Semi-Pro DSLR cameras, it may be common that they got a magnesium alloy body. It seems to make you a bit elite-looking. Anyway, the Pentax K-7 is one of them. With an image size of up to 4672×3104 pixels, it has been that competitive among the other DSLRs. Its features include video recordin of 720p/1080i HD, Shutter Speed of 1/8000, Continuous shooting is up to 5.2 fps, Viewfinder coverage of 100%, ISO Range from 200 and above and weighs 754g including its battery and SD Card. To give you an 8th option, here goes another Canon model. 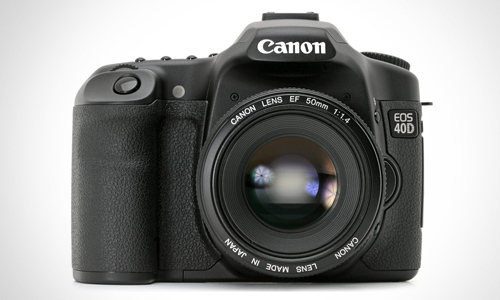 The EOS 40D which succceeds the EOS 30D where there has been a series of improvements. This DSLR Camera’s got an LCD with the Live View mode. It makes certain angles easy to shoot without that much of a hassle may it be the ground-level macro or the mounted tripod shots. Its features include a 10.2 Megapixel CMOS Sensor, Image size of up to 3888×2592 pixels, ISO Range from 100-1600, Shutter Speed 30 – 1/8000 sec, AF System of 9-points and a processor of DIGIC III. 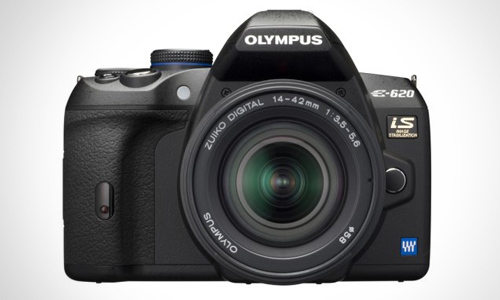 Olympus has been making a name in DSLR Cameras. In fact, it has been one of the best. So for semi-pros, the E-620 is one good option too. It’s smaller than that of the E-520 although it offers a bit huge viewfinder and more features so to speak. You must have that eye for photography to really go down to each and every key features to be able to determine which DSLR is best. Its features include a 4/3 type and Hi-Speed Live MOS, its body material is glass fibre reinforced plastic, with an auto focus of 7 points, Shutter Speed is up to 1/4000 sec, ISO Range of 100-3200 and viewfinder coverage of 95%. 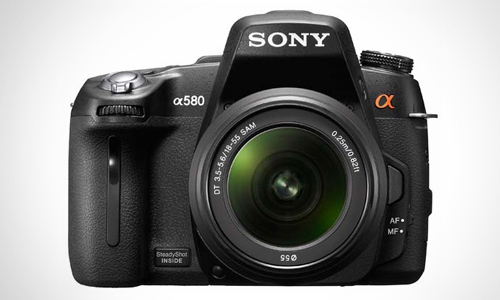 Finally, the last DSLR Camera brand on the list is Sony’s A580 with an interchangeable lens like the others. It offers really high quality and detailed images and could also capture cinematic Full HD video clips. It can’t be laid back like the other options we have posted. Its features include a 16.2 Megapixel Exmor APS HD CMOS Sensor, a 7.5cm LCD, includes a 1855mm SAM lens, ISO Range is up to 12800, a 15-point AF System, Shoots continuously up to 7fps and its 3D Sweep Panorama using the shutter of the camera. With DSLRs having the speed and quality that we have been wanting for photos that we take, it’s always wise to have that knowledge is choosing so for you not to regret in the end. There are many DSLRs out there in the market but there are only a few with superb quality and professionality of manufacturers. Photography being a career requires you a really good DSLR even when you have just started as a beginner or already in the intermediate level. It helps a lot in advancing you to become a Pro. As for now, which DSLR Camera has captured your photographic eyes? hi.. i have D3100 Nikon who is that ? beginner or Intermediate or PRO. ?? But others may have a different opinion. Feel free to share your insights you guys! Thanks! 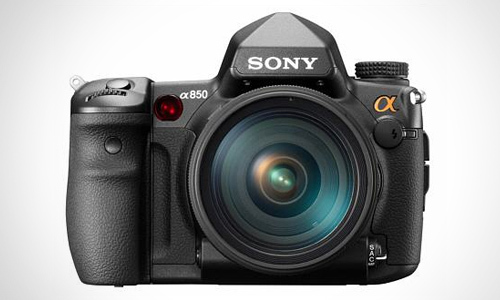 I would go for Sony Alpha A850 as it is worth $2000. One of my cousin’s is having this so I am aware of the features. Hi Suresh! That would be a good choice too! 🙂 Thanks for sharing your opinion with us. I’m a Canon user, the other cameras (Nikon, Sony) just never feel right in my hands. I think a lot depends on where the controls are. I’ve always been a Nikon girl. I love the D700.